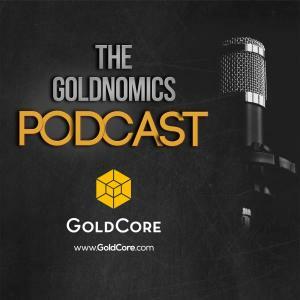 Goldnomics Podcast Ep1 – Gold, Stocks, Bitcoin in 2018. Everything Bubble Bursts? In the first episode we take a look at the major financial market themes of 2017 and delve in to what 2018 might have in store. Dave Russell interviews GoldCore CEO Stephen Flood and world renowned precious metals commentator and GoldCore's Director of Research Mark O'Byrne. Touching on a wide range of macro-economic and geo-political developments in an attempt to assess the risks of a global financial shock in the coming year. Cutting through the financial markets jargon and looking at risk to your investment portfolio that aren't spoken about in the mainstream media. Listen to the full episode or skip directly to one of the following discussion points. 13:30 Is gold still capable of playing the role of Canary in the coalmine. Why is it not reacting to the increases in risk? 26:35 Are we seeing a tulip bulb style mania in Bitcoin - how high will it go, when will it crash? 40:10 Stephen, Mark and Dave's ones to watch for 2018!